Yacht racing photography is one of the best ways to share the passion of sailing : beauty of the sport, life onboard, success, grace-filled moment, failures… How is the job of yacht photographers evolving? What are the specificities of the industry? We spoke to several industry professionals in order to compare their points of views. 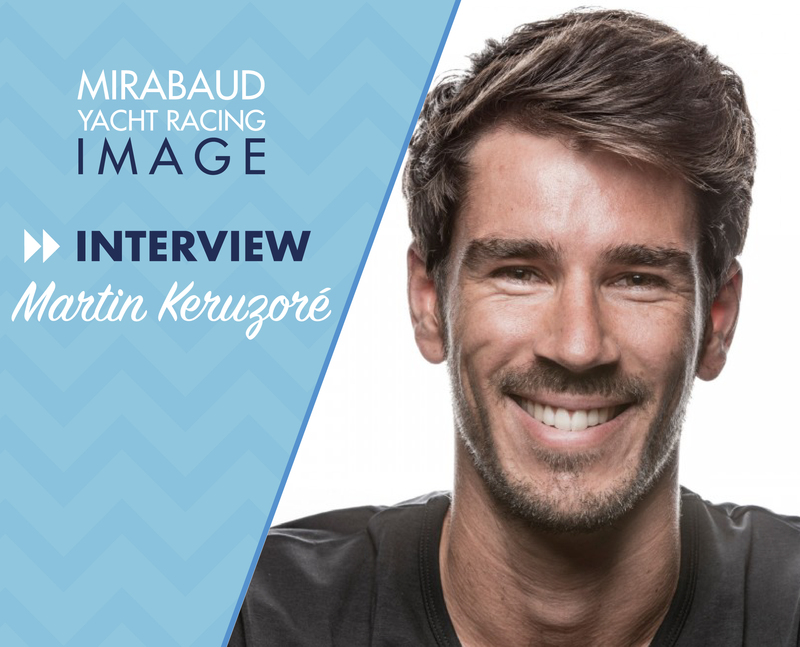 Let’s start this series with a young OBR: Martin Keruzoré, second at last year’s Mirabaud Yacht Racing Image award. Martin, what led you to become a sailing photographer ? I grew up close to the sea. My father has been a filmmaker in the sailing industry for 30 years. At first, I wanted to work around the sea as an engineer or architect, but during high school, I decided to follow my father’s steps and live from my passion. Since then, I’ve been working hard on my technical knowledge and, step by step, a lot of famous skippers in Brittany took me onboard to capture their training and offshore races. According to you, what are the key factors for taking a good picture? If you are onboard, you need to trust the team and the boat. You always need to find the best angle, the best light, the best moment and keep in mind the importance of staying safe. Sometimes, the best angle is not the easiest one. You might need to go to the leeward side, or at the bow, for example. You need to be close to the action to capture the emotion and the power that surrounds you. What’s the best picture you’ve ever taken ? Why ? I would say the picture I sent to last year’s MYRI’s edition. Technically speaking, it was very hard to achieve. That night, the full moon was the only source of light. It was really rough onboard, as we were sailing under 25knts. I was also using a really low shutter speed in order to get this blurry effect of the water falling inside the cockpit. It was maybe not my best picture of all time, but definitely my favorite. On what criteria will you choose the next picture you submit to the contest? Honestly, it is hard to say. One of the reasons why I love my job is to discover my pictures after a shooting on my laptop’s screen and from this point, being able to say: « this one is a good shot, there is something different I have never seen before ». Or « this one could be the next picture for the next contest’s edition ». Technically, the picture I choose to submit must be perfect. I’m a perfectionist and I really focus on details. For me, the most important thing is to feel the boat’s power and the emotion behind the action. What is the most important challenge you encounter while taking sailing pictures ? Onboard, you are stuck in a very small area, but you always need to find new angles, new stories to tell. It’s a real challenge but a really good exercise to expand your creativity. Moreover, the conditions are terrible for a photographic job: your camera kit must remain away from salty water and from humidity. After my experience with the Volvo Ocean race, I’m now developing waterproof housings with « Liquid Eye: Water Housing Systems », to make my job easier. How do you see your job evolving over the next few years? What innovative changes do you hope to see? What will it add to the pictures? I think this job will stay alike for several years. I think our job does not rely on boats’ technical innovations. For sure it will become more and more tricky to work onboard these new generations boats, and more challenging for us because the speed is increasing every season. In my opinion, the main criteria that makes the difference will remain the emotion and creativity of the photographer.